Anna Wright is a gorgeous illustrator, and has some simply stunning work on her website. 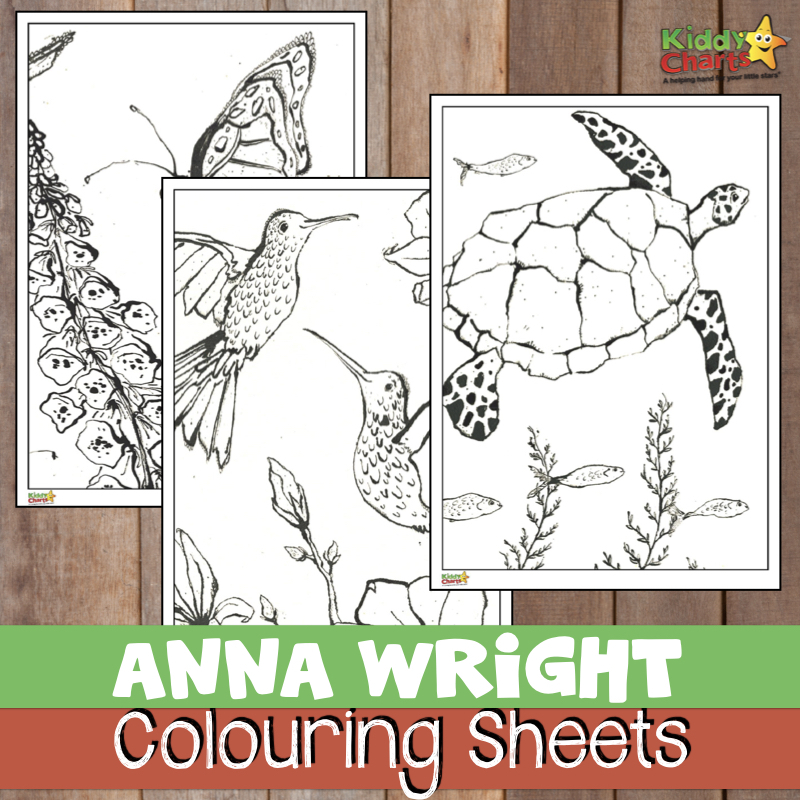 We are so excited today to be able to share some of her work with you as Anna Wright colouring sheets for the kids; taking some of the designs from her Colour-In-Cards and letting you have a play with them before hopefully popping along to her site to buy some of them! And we didn’t get paid to say that – we just love what she does, and wanted to share some of it with you all. Wy not get your children to decorate them, and pop them on your desk for a little splash of colour while you are working? Or if that doesn’t work for you; how about just colouring one in and passing on to a family friend as a really lovely, personalised gift? Anna was actually brought up in Dumfriesshire, southwest Scotland. The rural location she was raised is the inspiration for many of her illustrations, and she carried her love of nature beautifully into her designs. She went to the Edinburgh College of Art, and her style is to paint or colour using mixed materials, such as ink, feathers, and fabric. She loves to illustrate with humour too, bringing personality to her work where she can. To download these printables, just click on the image below as always. We hope you like them. If you are interested in the other printables that we have on the site, then do subscribe to us so you don’t miss them as we publish them. Our newsletter is weekly, unless you would like it daily. You can set this within the subscription. 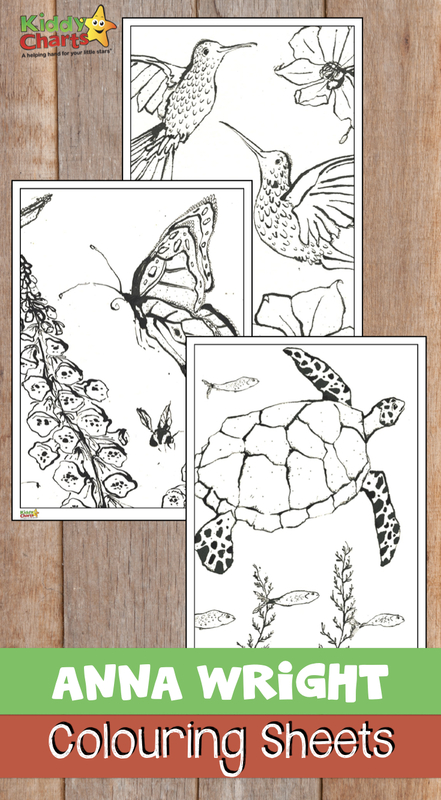 Butterfly coloring pages for adults and kids, which is one of the series we have on the site of adult and kids coloring that you can do together. If you are looking for more great resources focused on art and illustrations, why not check these out too? Childhood 101‘s excellent post with some wonderful ideas for picture books whose illustrations will just knock your socks off! From Playdough to Plato offers some advice to help readers who are struggling to grasp things, including using the illustrations within books to encourage the to learn. That’s plenty to keep you and the kids busy. Until next time, we hope you have enjoyed these pictures from Anna Wright. Thanks for your time.